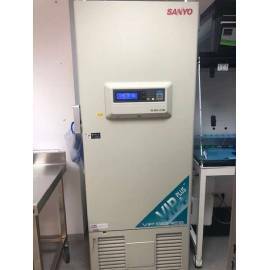 Upright freezer Sanyo Biomedical MDF-U537. 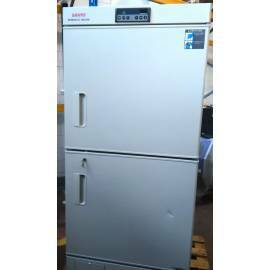 Capacity 482 L. Temperature up to -30 ºC. Digital Display. 2 independent zones. Sound alarms. 14 drawers, and instruction manual. 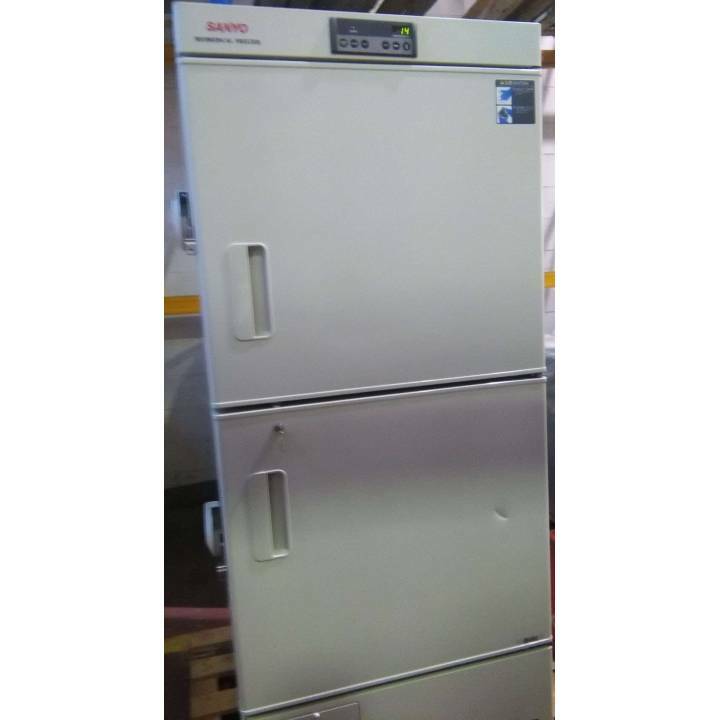 Upright ultra-low freezer SANYO MDF-U500VX. Minimum temperature: -86ºC. Temperature Control between -50 and -90ºC. Volume: 519 l. Dual Cooling system with 2 independent compressors. Isolation system V.I.P. PLUS 2 Insulated interior doors. Includes 3 shelves. Visual, buzzer and remote alarms for power failure, high temperature and low temperature. Door Alarm / Lid open. Non-volatile memory microprocessor. Manual.